Xioami has launched a new smartphone called Redmi 6 Pro similar to Apple iPhone X in terms of display screen size and Notch Display. The New Redmi 6 pro is 5.84-inch display with 432ppi resolution. If we check the specifications i.e Face Unlock with AI System, Fingerprint Unlock, Unlock with MI band, 4000 mah battery, 2+1 Card Slot with (Expandable with 256 GB Storage), Qualcomm Snapdragon 625 octa-core processor 2.0 GHz processor, VOLTE capacity, 12 + 5 MP Dual camera with AI. And other Features are similar to old Redmi Smartphones like Proximity sensor, e compass, gyroscope, accelerometer, IR blaster. The two variant smartphones available in the different Storage. You can check out the link below. 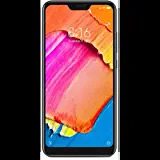 Redmi 6 pro is the outstanding performance in terms of the selling point.